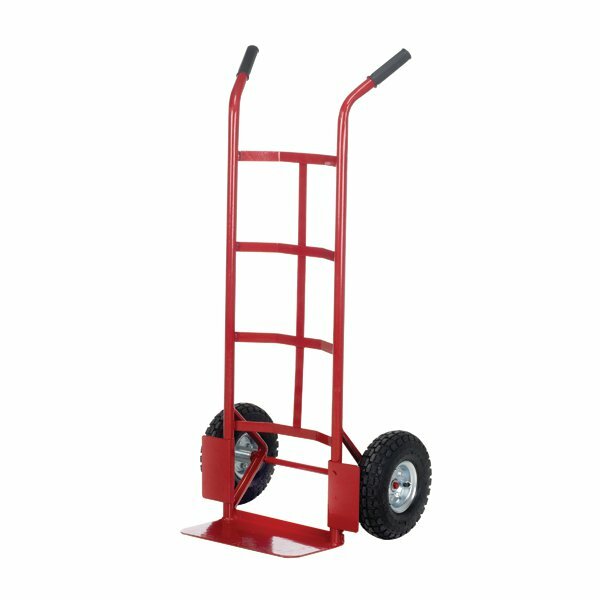 This versatile and robust sack truck is suitable for heavy duty use, with a maximum capacity of 150kg. The strong toeplate measures 350x200mm, providing a sizable surface area for carrying large loads. 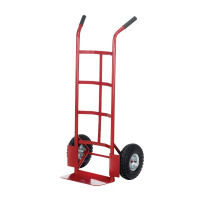 The concave frame provides firm support to your cargo, aiding stability. The pneumatic tyres adjust to the terrain for a smoother ride over uneven surfaces, which is ideal for exterior use. Wheel guards help ensure the load doesn't get caught on the tyres.